Last night we performed an upgrade in order to address some recent issues and we wanted to share the details with you. In a related error, some players were hanging at the end of multiplayer games where their country was not set correctly. This should no longer happen. New users found that in some situations, CTTH courses were not available until after logging back in. This problem has been resolved. New users attempting to register using IE7 were encountering display errors with the Captcha security code. The code should now properly display on all supported browsers. For a list of supported browsers, please see the System Requirements here: http://www.wgt.com/forums/p/635/2552.aspx We recommend using Google Chrome for the best WGT experience. We're sorry for any inconvenience caused by these issues and thank those of you who've sent us reports of problems. If you encounter an error in-game please Right Click and file a Report. These reports are very helpful as they send us information on the state of the game at the time of the error. These reports do not generate a response. For other problems please send an email with your user name and a description of the problem to members@worldgolftour.com. Harbour Town, Hilversumsche, R11 Clubs and More! 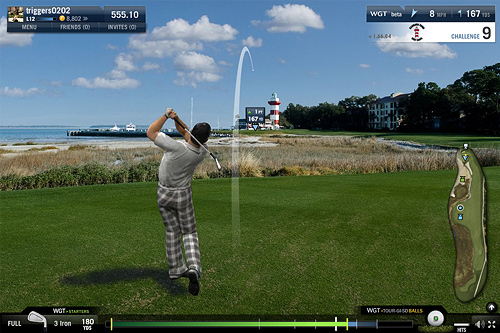 Harbour Town Golf Links is now available for closest-to-the-hole, Blitz and Country Clubs CTTH games. Harbour Town, the home of the PGA Heritage Classic and the par-4 18th, considered one of the most difficult finishing holes in golf, will challenge you with its difficulty and amaze you with its beauty. Play a round today! 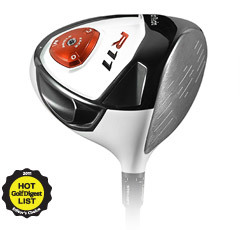 New from TaylorMade, the top-performing R11 driver, 3-wood and hybrid. These long-hitting clubs with the white crown will give you unparalleled distance and precision. Set your self apart on the course and upgrade to the R11s today. Unlock at level 29 and 82. Check out the Level 29 Driver and Level 88 Driver here. 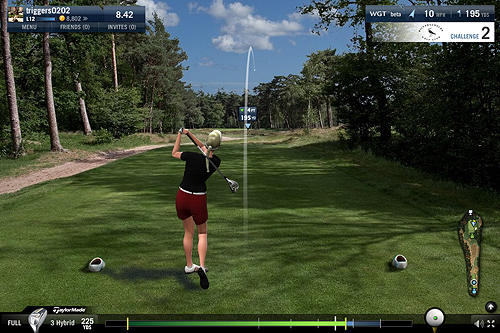 Hilversumsche Golf Club is also available for closest-to-the-hole, Blitz and Country Club CTTH games. Hilversumsche is one of the top 100 courses in Europe and is the home of the Dutch Open. Come see some of the best that Europe has to offer and play a game on Hilversumsche. Watch fun videos and earn free WGT Credits. We have made it even easier for you to earn free WGT credits by having short interactions with brands and advertisers. Simply watch short videos and complete simple surveys to get free credits. New activities will be available all the time. Visit the Offers page today!